Kananaskis Country Golf Course is proudly partnered with Golf Canada’s West – Canada’s #1 Golf Vacation Experts. 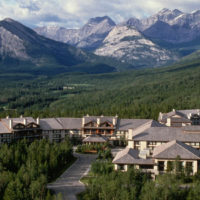 Nestled in the majestic beauty and natural serenity of the Canadian Rockies, The Delta Lodge Kananaskis is a modern alpine resort designed for year-round conference and vacation fun. 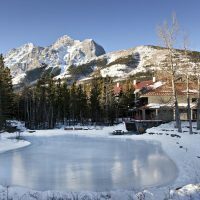 Surrounded by the beauty of the Canadian Rockies, in the heart of the Kananaskis Valley, Mount Kidd Manor puts you at the base of the pristine 9,438 ft. mountain. 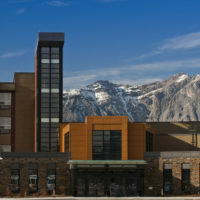 With an indoor pool and waterslide, teepee village and fitness center, there’s never a dull moment at Stoney Nakoda Resort and Casino in Kananaskis, Alberta. In the Kananaskis Valley, with sweeping scenes from our Mountain View hotel rooms, allowing our guests to fully take in the awe-inspiring landscape of the Canadian Rockies. Kananaskis Country Golf Course Is Back & Better Than Ever! Golf Canada’s West has a number of Kananaskis packages on offer, but can customize a package based on your specific requests and travel requirements. Give us a call at 1-877-323-3633 to speak to one of our friendly, knowledgeable package specialists about your golf vacation plans or take a moment to complete the ‘Book Now’ form and email us your questions and comments. **pricing reflects mid week travel, weekend travel will increase the package cost.